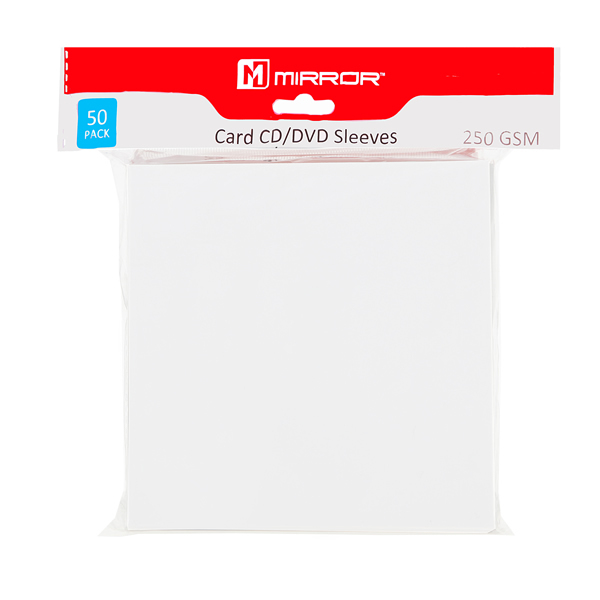 Mirror Disc Protective Cardboard Sleeve in Packs of 50 is a plain and simple cardboard sleeve with thumb cut for a single disc. Outstanding quality from Mirror. Strong and long-lasting, these white sleeves are completely plain with no logo.